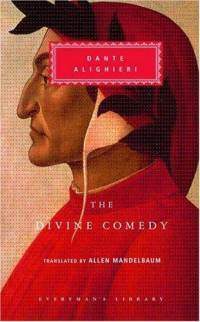 The Divine Comedy by Dante Alighieri is an epic poem written between 1308 and his death in 1321. The Divine Comedy is not a comedy at all, the title Commedia refers to the fact that the journey starts from hell and ends with Dante’s visit to heaven and meeting with God and understanding of the mystery of reincarnation. The work is written in the first person, and tells of Dante’s journey through the three realms of the dead, lasting from the night before Good Friday to the Wednesday after Easter in the spring of 1300. The Roman poet Virgil guides him through Hell and Purgatory; Beatrice, Dante’s ideal woman, guides him through Heaven. The Divine Comedy is not a comedy at all, the title Commedia refers to the fact that the journey starts from hell and ends with Dante’s visit to heaven and meeting with God and understanding of the mystery of reincarnation.